At some point in the cloud computing lifecycle it may be necessary to change providers. The decision to switch your cloud provider might not be so easy to take. We will try to address the challenges of such an endeavor next. Why does a business decide to switch between cloud providers? Well, sometimes it is because of the costs. Maybe you get to the point where you pay a lot more than you want for the service. The irony is that during the migration your cloud hosting costs may go up since you will need both instances to be live to make sure that everything is working well in the new environment while keeping the business alive. The whole idea of the cloud was to make things easier. Once something is in cloud it is easier to move it around since you don’t depend on specific hardware, and you have a range of tools and platforms to choose from. So migration should be easy, right? Well, no two IT environments are the same. Truth is that moving between clouds can be very challenging. Cloud providers will do their best to make migrating to them as easy and pain free as possible. Getting off them? Not so easy. You can notice that the cloud is evolving its own unique brand of vendor lock-in, so, there are some precautions that you can take to make things easier for you, should you want to leave your cloud provider. This might come as a surprise for you but cloud vendors will be inclined to deny you the total portability we would like and want, because at the end of the day a cloud is still made up of hardware inside data centers with people managing them. Setup and configuration of a custom cloud configuration for a specific business or a SaaS may often require substantial expenditure of man-hours on the cloud provider’s side . Even if you find one that might be inclined to offer you some flexibility, you can’t possibly find the IaaS provider that would support all the selection of hypervisors, operating systems, management tools, virtual machines and network configurations that everyone needs. Incompatibilities aren’t all that hard to find, despite the “openness” of cloud computing. Network bandwidth can be different from provider to provider, causing an impact on performance, or different versions of the same database can be used, leading to compatibility issues. One way to avoid this type of situations is to search for a cloud provider that can support a wide range of platforms. So, this preparation for a potential migration begins at the very beginning when you decide to take your application to the cloud. While quite a headache, choosing the right provider in the beginning can help you if you have to switch at some point. Keeping your application up to date with the new tech, languages, etc will prove to be quite a lifesaver. Legacy apps are the hardest to migrate, because they require special knowledge, hardware, and people who know how to run the code without busting it. And that is a combination that can prove to be fatal. So, if you can, keep your application updated so it is easier for you to adjust it to a new architecture. If you don’t manage to do that, you would need a team of professionals to help you with the whole migration process and that might lead to a higher cost for the whole migration. It might sound redundant, but make sure you perform all the needed stress tests before shutting down your old system. So, all the real-world conditions need to be taken into consideration and tested; simultaneous user sessions for instance. You application will work beautifully in a secure and controlled environment, so make sure you put some pressure on it before you call it a day. A well planned and executed stress test will help you make sure everything goes smooth. Last, but certainly not least: downtime. Taking into consideration that amount of data, users you would need to transfer, you will get a bigger downtime. You need to evaluate if you can afford that downtime and discuss with your provider what are the steps to take in order to make it as low as possible. You need to make sure that you have this well discussed with both your old and new provider. Most companies opt to make the transition in the weekends. This will mean extra costs most probably, since you’ll have the overtime of your own people and the overtime of the people working for the two cloud providers. What to do to help with this? You can transfer the most important parts, the ones that are the heart and soul of the company and transfer the rest afterwards. This is the moment when you must see past the marketing traps, where everything is nice and pink and shiny and decide if you want to go with a small provider, and get some more “human” touch, or go with one of the big players who might have it all automatized, but might miss some important things. Cloud to cloud migration: tips and tricks. First: communication. A clear communication before and during your migration, and throughout your relationship can help you create a relationship that would make migration easier. It’s important that your provider knows exactly what is expected of him, especially when migration your application from him, so everything runs smoothly. Planning comes second. You need a provider that can help you carefully plan the migration since you want to Without this you may experience a bumpy ride before getting up and running, and this lack of forethought doesn’t bode well for future challenges or problems. Planning calls should take place at the beginning and throughout the process to ensure all points are covered. Third: Expertise. You need somebody who fully understands your application. An expert in cloud infrastructure and customer care will take time to get to know your business, ensuring a smooth migration. Fourth: Downtime. You need to have a clear understanding of the downtime. This means that your new provider need to make sure that they can offer you as little downtime as possible. Time is money, so you need your business to be offline as less as human / machine possible. Fifth: Stability. the decision to switch providers does not come easy. So, when deciding on your new provider make sure that it’s as a stable company as they come. You don’t want to transfer your data just to start transferring it again because your new provider has financial problems. Choose wisely so you don’t regret later. Also, remember to check references, especially from companies that work in the same field with you. These testimonials can help you check out your provider’s strengths and expertise. 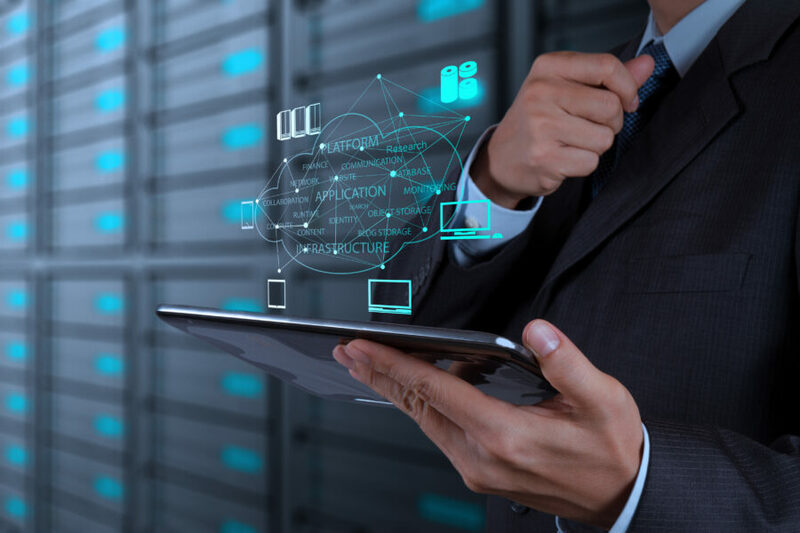 If your company is highly specialized in a field or technology, this can make the difference between a smooth migration and one with a lot of headaches. Bottom line, yes, cloud migration comes with quite a few challenges, since keeping all that data safe and your apps up and running might be quite something, but a good provider will make sure that the transition runs smooth and that the process is as easy as possible for the client. The important part for the client is to make sure that you have all the information before doing anything. Make sure that you get all the details about your new provider, make sure that once you selected your new provider you know exactly what steps will be taken during the migration, expected downtime, failsafe plans. So, when choosing make sure that you select a provider that adds value to your business, makes your life easier, don’t take into consideration only the money aspect since that can lead you on a steep path.